One of the benefits of practicing Divorce and Custody Law is the opportunity to try cases that involve complex issues, the valuation of a spouse’s business interest in a closely held business being one of those complex issues. Along with my work through the years in the areas of psychology, family systems and custody law, I have utilized my experience from MBA school and working in and with businesses to develop skills in managing business and financial issues in divorce litigation. Law Offices of Michael F. Roe has maintained strong relationships with some highly competent Business Valuation experts, that work as consulting and testifying experts in valuation cases. These experts are skilled at assembling the correct financials, and employing valuation protocols that are generally accepted in the business valuation industry. The goal of the use of such an expert is to provide the trial court with an expert opinion as to the appropriate value of the client’s company or shares as of the time of the divorce trial. Just as important as having a good expert in a case is the ability of the trial lawyer to cross examine the other spouse’s expert (if there is one) as to that expert’s valuation opinions. In that sense, it is my job as a divorce trial lawyer to become as expert in that business valuation approach as the experts I am working with. My goal: optimizing my client’s outcome. Income approach: This approach calculates the business’ value based on the current benefit stream, often after a cash flow statement adjustment and the application of a discount rate. Market approach: simpler than the income-based approach, this compares the business to others in the same industry and region with similar sizes. 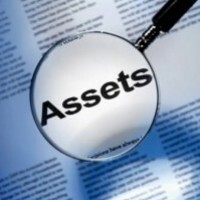 Asset-based approach: the simplest (and usually least appropriate) method, this approach adds up the values of all assets possessed by the business, and then adjusts the assets based on historical values to current market value. If you have questions regarding the treatment of your closely held business, corporate stock interests, or partnership interests in divorce, contact Michael Roe for a discussion of how courts tend to treat valuation issues in divorce, and what solid preparation and expert work can do to optimize your financial outcomes.